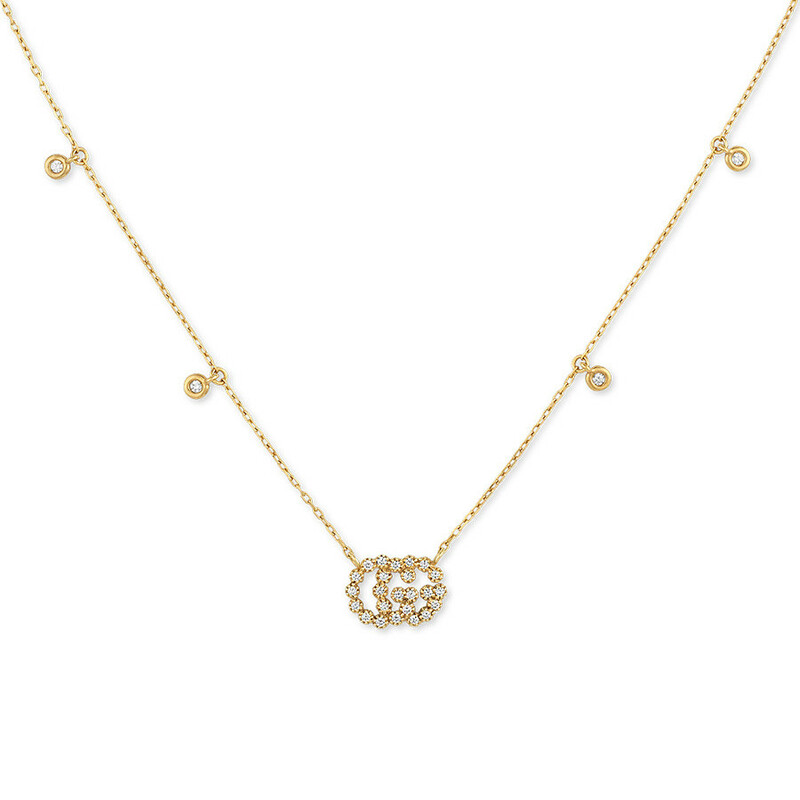 Get an enriched look with this rich-looking necklace from Gucci's GG Running collection. Crafted in 18K yellow gold, the pretty piece features a diamond-encrusted double G pendant and dangling diamond charms positioned along with delicate precious metal chain with lobster clasp. Wear it at 14.5" or 16.5" lengths. 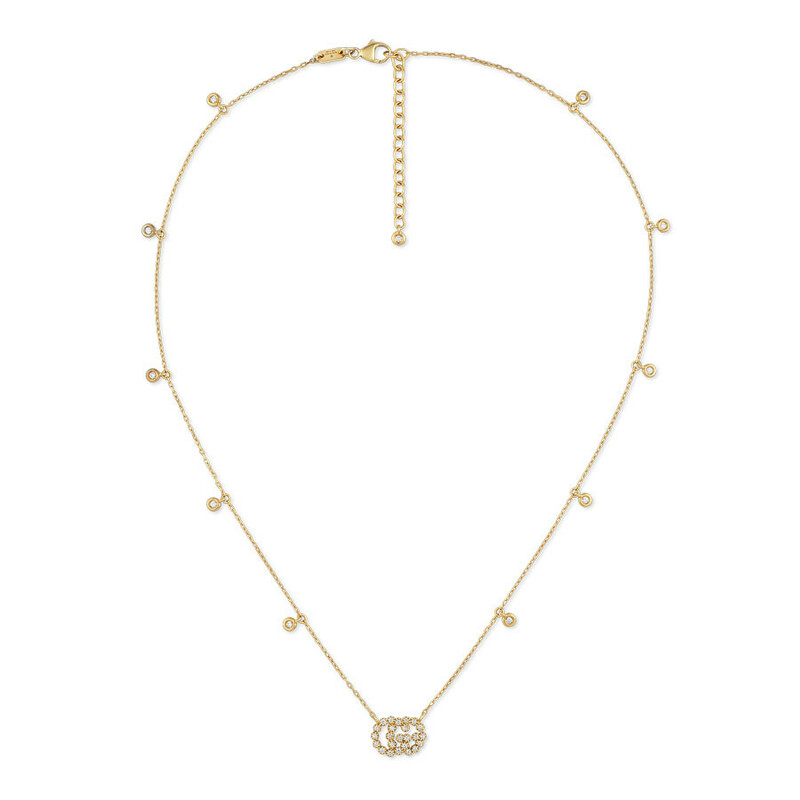 This gold and diamond Gucci pendant necklace has a winning style!